Sarah & David have a dog – Merry. When we meet with couples and find out they have a dog – especially a rescue dog – it is instant bonus points in our books. 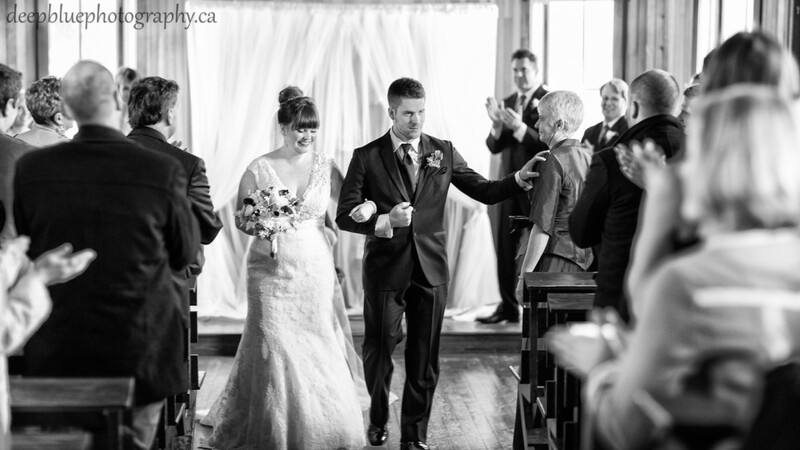 We first met Sarah & David over tea at The Tea Girl and were super excited about their Fort Edmonton Park winter wedding. Fort Edmonton Park is such a beautiful venue, and although we had photographed two previous weddings there, this would be our first chance at a winter wedding there. 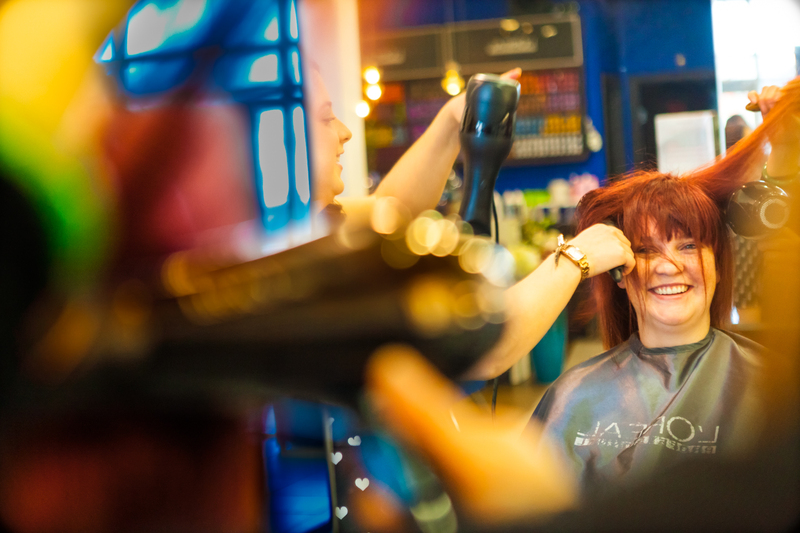 The morning started with the ladies at the Blue Gemini Salon, and continued with the gentlemen at The Matrix Hotel before both parties met up at Fort Edmonton Park for Sarah & David’s first look. For those who don’t know, a “first look” in weddings is when the bride and groom see each other for the first time. Typically this is done when the bride is walking down the aisle, however many couples are now choosing to make this a more private and intimate moment between just the two of them. It has pros and cons, but it is always awesome. After the first look we took the bridal party to the carousel building for some more pictures. It was a beautiful winter January day in Edmonton. The temperature was perfect, the sun and sky were awesome and everyone had a blast. After the pictures were finished we took everyone back to the St. Michael & All Angels Anglican Church inside the park for the wedding ceremony, which featured many tears and memories for everyone. The couple made hot chocolate, smores, and blankets available for all the guests, which was pretty awesome because after the wedding ceremony a horse drawn sleigh took the guests from the church to the Clerks Quarters for the reception. Sarah & David also had their own private sleigh ride that took them to dinner. The rest of the night was spent laughing, crying, dancing, drinking, a delicious dinner from Elizabethan Catering, and a well received midnight snack from McDonalds. Thank you Sarah & David for allowing us to be part of your day!